Josephine M. Johnson ,89, passed away on Tuesday, March 26 surrounded by her family. She was born on November 20, 1929 to Leonard and Katherine (Neeck) Lambert. Jo graduated from Cathedral High School in 1947 and St. Francis School of Nursing in 1950. She married Robert E. Johnson on January 16, 1951 at St. Thomas Pro-Cathedral in Winona, MN. Jo was a gentle spirit with a great sense of humor. 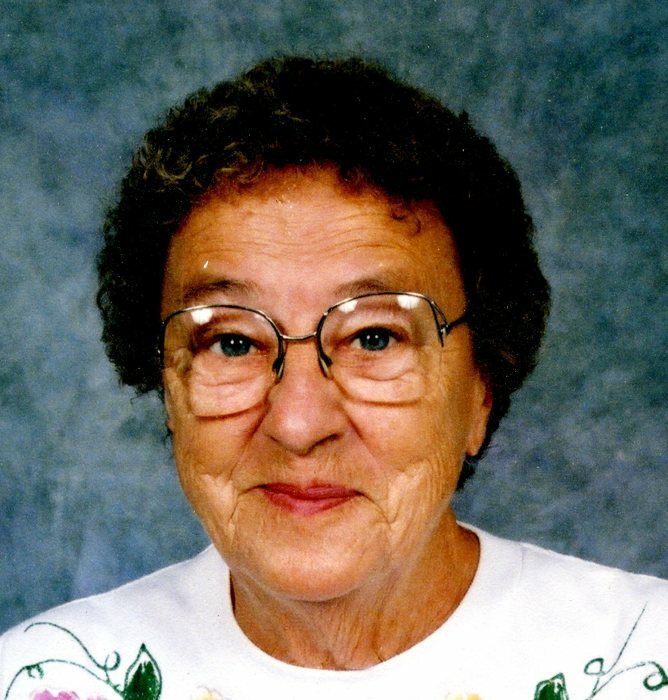 She was an avid bowler and golfer. She liked to bake, read, and do word puzzles. Jo enjoyed playing card with her competitive spirit. She belonged to the American Legion Auxiliary, Westfield Golf Club, St. Francis Alumni Association. Jo volunteered for the Hospital Auxiliary and the League of Women Voter. Jo was a delight to be around and most enjoyed the togetherness of family. She was preceded in death by her parents, husband Robert (1993), infant son Robert, grandson Jordan Schueler, 2 brothers, 1 sister. Jo is survived by her children Kate (John) von Rohr, Anne Johnson, Peggy (Steve) McIntosh, Richard (Sally) Johnson, Mary (Dave May) Schueler, Sharon (Mark) Hayes; 18 grandchildren, 19 great-grandchildren; 4 great-great grandchildren; many more relatives and friends. Memorials preferred to Winona Area Hospice.